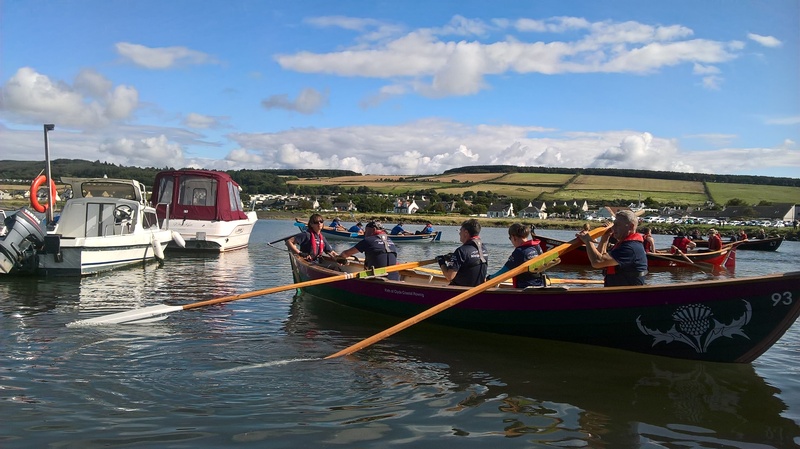 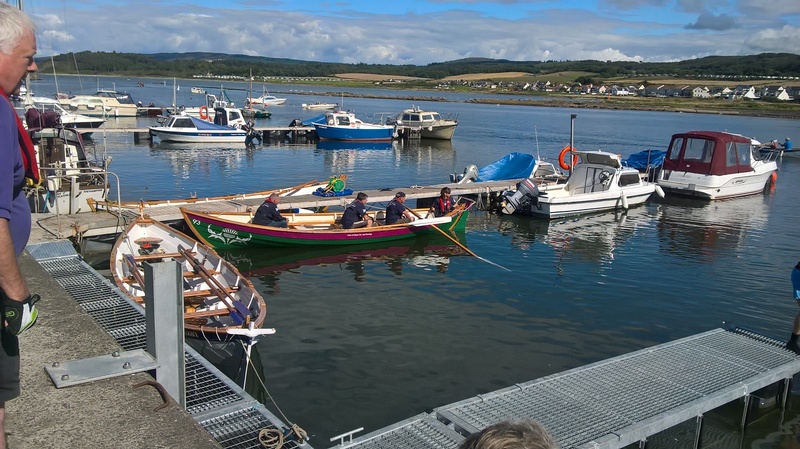 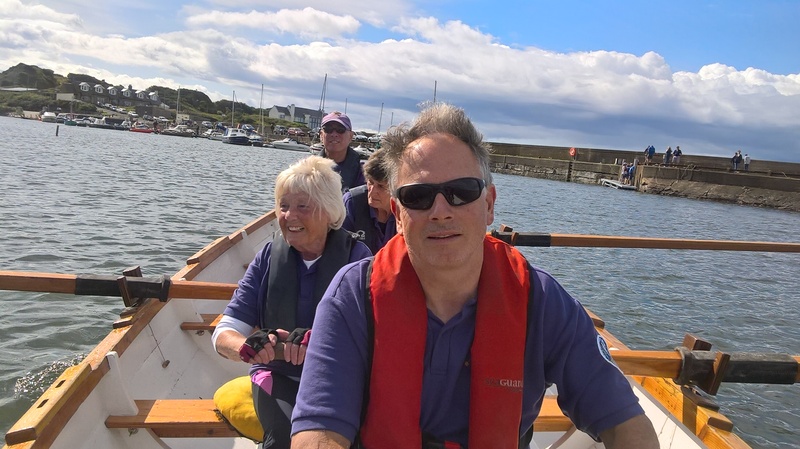 Nine clubs including two from Northern Ireland took part in the annual Excisemans Chase organised by Carrick Coastal Rowing Club. 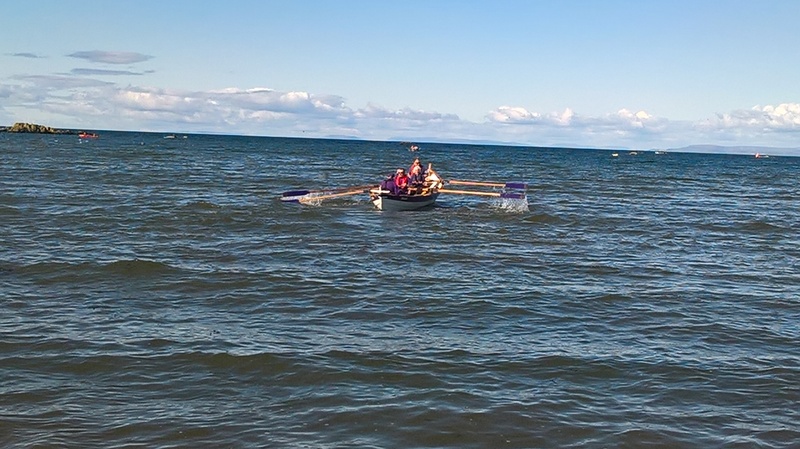 The Excisemans Chase is a enactment of the past when smugglers landed contrabrand at the Gas Bay beach below Culzean Castle. 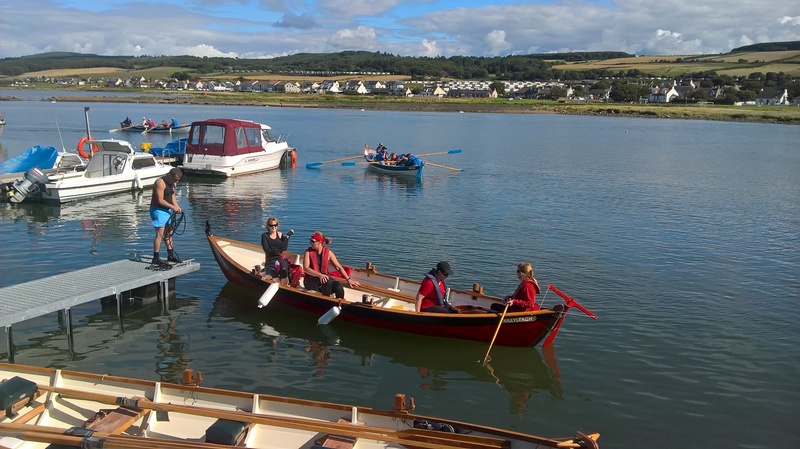 It involves rowing from Maidens harbour to the Gas Bay and collecting contraband and then returning to the harbour to land the illegal goods. 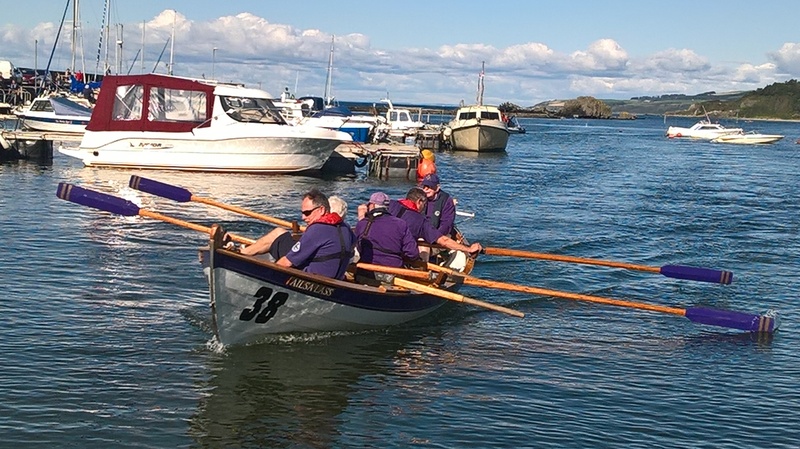 Due to heavy seas the race was shortened and kept within Maidens bay but otherwise followed the same format with crews changing halfway. 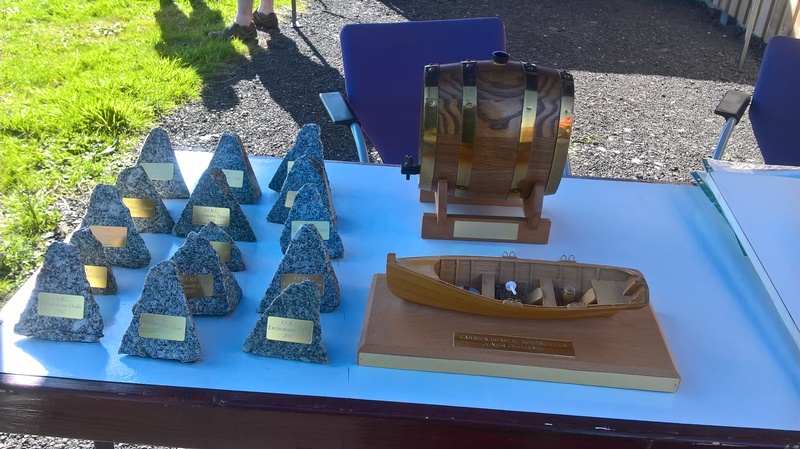 All teams were timed and the winners this year were Skelrick in a time off 34 minutes. 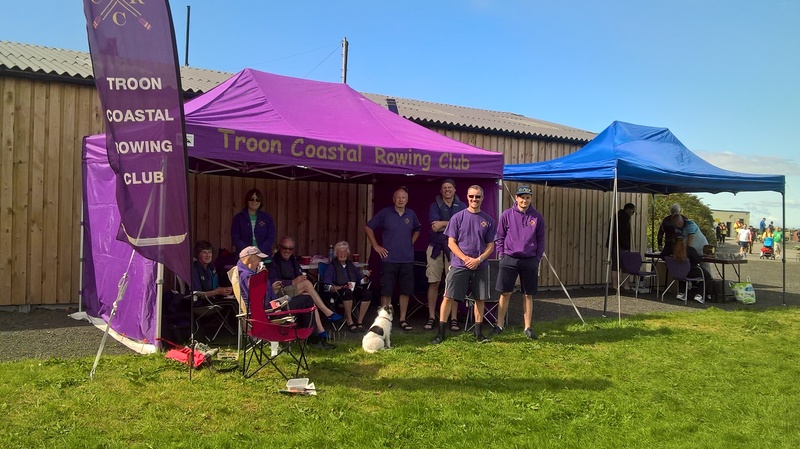 Troon came equal sixth place in a time of 39 minutes. 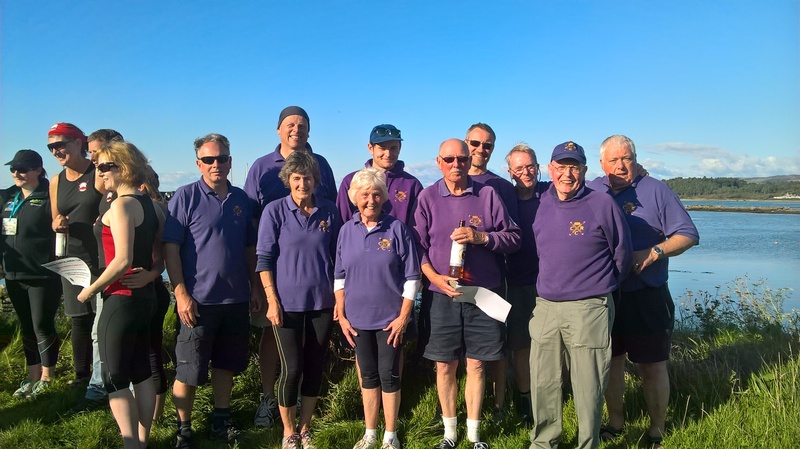 The day ended with a Hog roast and other refreshments supplied by the host club. 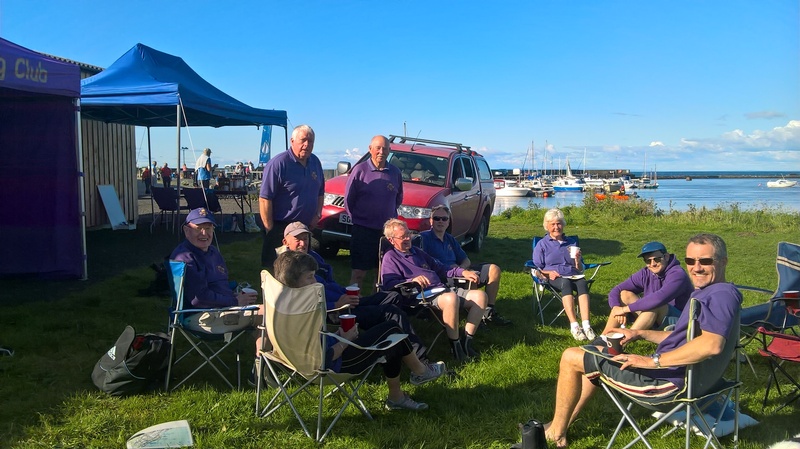 This was the largest turnout yet for the Excisemans Chase and apart from the high seas at Gas Bay the weather was great and all had an enjoyable day.